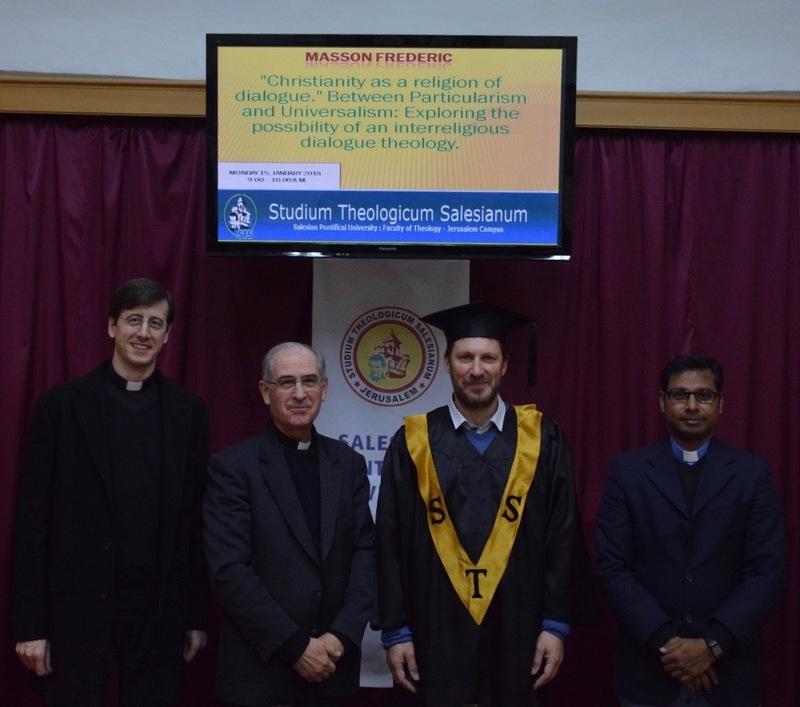 15 January 2018 – STS - Jerusalem On Monday, January 15 2018, Frédéric Masson defended his Baccalaureate synthesis at the Studium Theologicum Salesianum in Jerusalem, completing four years of study and earning the title Bachelor of Theology. His thesis was titled, “Christianity as a religion of dialogue. 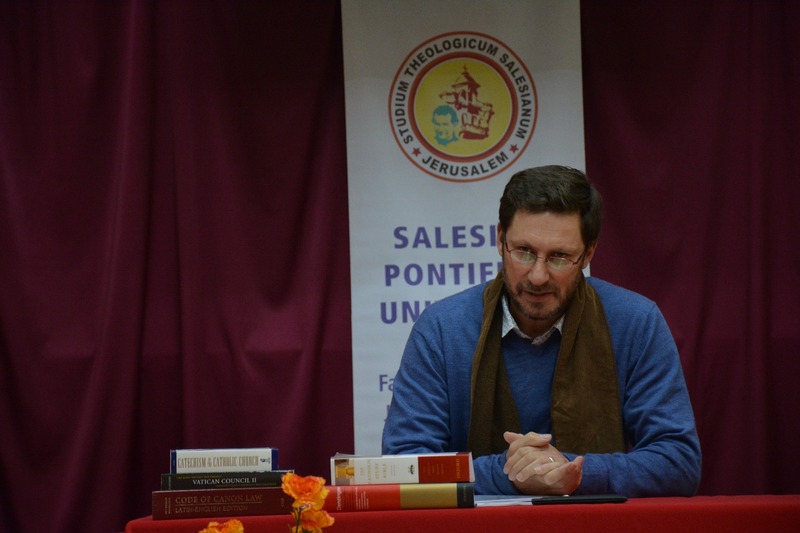 Between Particularism & Universalism: Exploring the possibility of an interreligious dialogue theology”. Frédéric’s tutor for his synthesis was Rev. 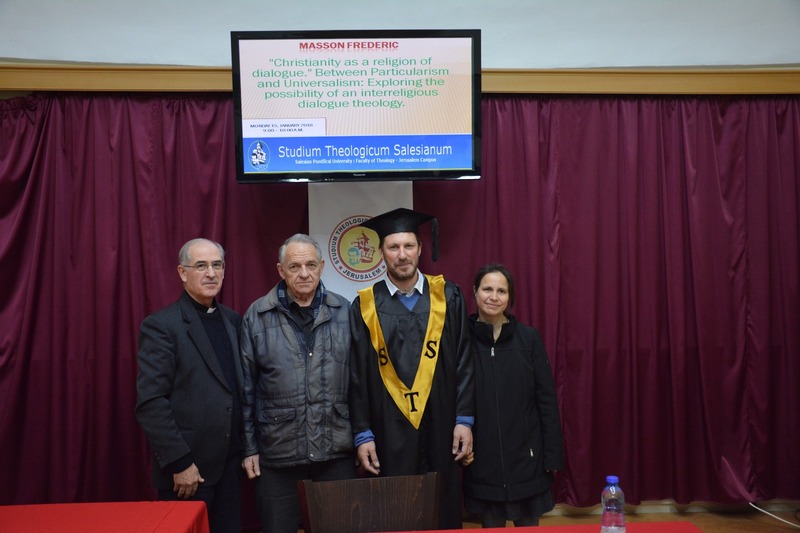 Dr. Gianni Caputa, SDB and the reader was Rev. Fr. Vincent Raj John Bosco, SDB. Rev. 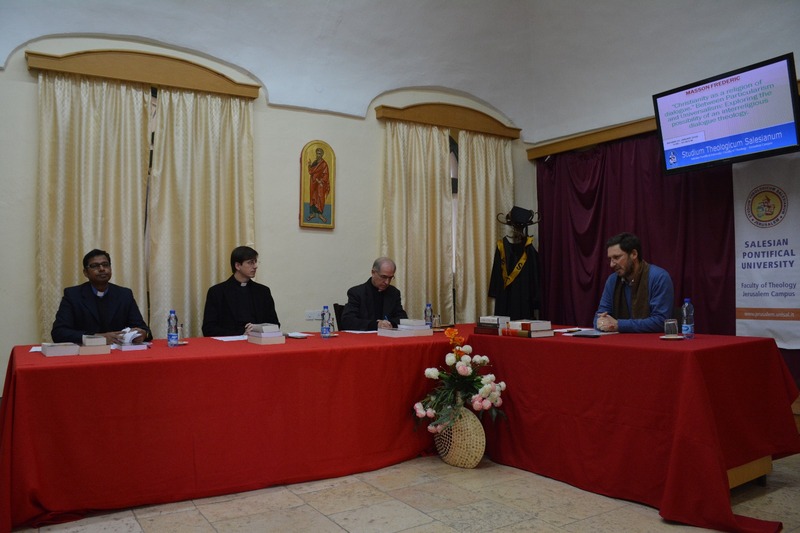 Dr. Gustavo Cavagnari, SDB, Principal of STS, welcomed all present to the Baccalaureate Exam and congratulated Frédéric on admittance to the exam. He proceeded to outline the procedure of the examination. When the time for questions arrived, Fr. Caputa congratulated the candidate on his clear presentation, highlighted four aspects of the research, identified some points of weakness, and inquired into some magisterial statements interacting with Frédéric’s conclusions. The student responded decisively, referencing Lumen gentium of the Council Vatican II and Dominus Iesus of the Congregation for the Doctrine of Faith. Frédéric used the image of a full glass which continues to pour liquid out of it for illustrating how the true God and message of Salvation overflows from the Church into the world. Fr. Vincent also commended Frédéric on his work and successfully completing his synthesis. 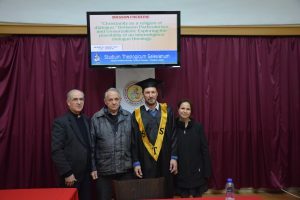 He presented the student with both methodological errors as well as criticism on his focus on history of failure of the Church in this area and lack of mention of other religions for dialogue besides Judaism and Islam. 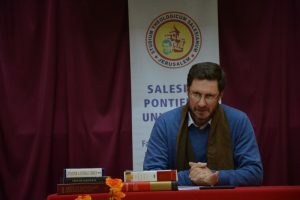 His questions focused on if particularism necessarily excludes dialogue in itself, and if the threat of universalism may also fall into pluralism. Frédéric outlined three attitudes in dialogue (exclusivism, inclusivism, pluralism) and three conditions of dialogue (respect, self-confidence, shared ground). 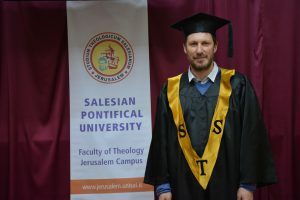 The academic commission conferred and after a short break awarded Frédéric Masson with the Bachelor of Theology degree.